Brad Pitt stars in the war drama, which heads to Netflix this Friday. It might be hard to believe based on his movies, but David Michôd isn’t all doom and gloom. 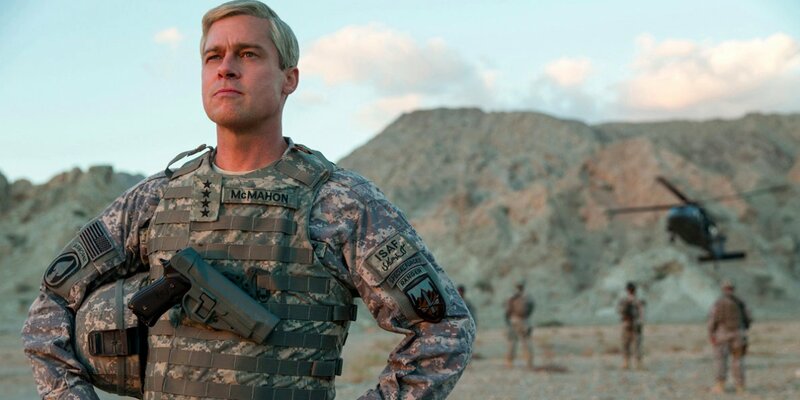 “I feel now quite zen about the impending void,” the “War Machine” writer/director said during a recent interview about his new Netflix drama starring Brad Pitt, which takes a farcical approach to the absurdities of our unending War in Afghanistan. It’s not that Michôd is optimistic about where things are headed — it’s just that he isn’t surprised. Like a lot of movies, TV shows and books released in the last six-odd months, the “Animal Kingdom” and “The Rover” director’s latest feels especially timely given current events. Set in 2009 and based on Michael Hastings’ book “The Operators: The Wild and Terrifying Inside Story of America’s War in Afghanistan,” it serves to remind that perception mattering more than reality is neither a new phenomenon nor one that shows any signs of going away. This new film represents a big jump for Michôd, at least on paper. His first two features premiered at Sundance and Cannes, respectively, and carried considerably smaller price tags. The seeds that “War Machine” eventually grew out of were planted even before “Animal Kingdom,” however. Much of that support came from Pitt’s production company, Plan B Entertainment, which also had a hand in bringing “Moonlight” to the world. It wasn’t a new relationship. “I’ve had a connection to Brad’s company for quite a long time, because Jeremy Kleiner and Dede Gardner, strangely and beautifully, sought me out before I’d even made ‘Animal Kingdom,’” Michôd said. The two of them had seen his short films and were interested in collaborating on a feature. Nothing came of it at the time — “I’m kind of glad it didn’t work out, because I was probably grossly unprepared for it” — but they never lost contact with each other. Pitt plays Gen. Glen McMahon, whose no-nonsense real-life inspiration, Stanley A. McChrystal, resigned from his post leading the war efforts after Hastings’ damning article was published in Rolling Stone. This is a war fought on two fronts, with the press being nearly as important as the actual battlefield; the conflict is considered unwinnable from the beginning, but it isn’t a bullet or mortar round that brings McMahon down.